The governor of Idaho has proposed establishing a new role of oversight for its state university system. The "Executive Officer" would oversee the streamlining of operations in IT, finance, HR and purchasing platforms, among other responsibilities. Gov. Butch Otter said the new position was needed because current leadership wasn't enabling the system to adapt fast enough to the changing higher education landscape. The proposal included a $769,500 line item in the state's proposed budget, according to reporting by Boise's Spokesman-Review. Half a million dollars of that would go to a consultant to "study ways to integrate and combine services" across public colleges and universities in the state. 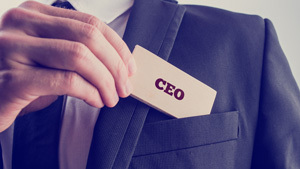 The rest would cover pay and benefits for the new CEO, whose salary would be $200,000 per year. The plan comes on the heels of a taskforce report published last fall recommending, among other actions, that the State Board of Education migrate the state's "current federated system of institutions to a more integrated, centralized and student-centric system" in order to "drive efficiencies, cost savings, and a higher level of service in back office functions." The idea is to put a leadership structure in place that could execute the changes needed to move the state's institutions toward "Systemness." The proposal for a higher ed "CEO" gained speed when a group of state business leaders sent the governor a letter urging him to take action on that idea, in particular, from the taskforce report. The effort to "upend the status quo" will result in finding "tens of millions of dollars in efficiencies," insisted Otter, funding that could be applied to scholarships and new initiatives, such as a digital campus. He emphasized that the intention isn't to create a "chancellor system" with schools joining a single university. That approach would be "overly disruptive." Otter also told lawmakers that while the proposal wasn't meant to reflect poorly on the board of education, "the system itself is slow to adapt and too good at perpetuating the status quo." He added that the board was "simply is not equipped or empowered to make the big management changes needed to achieve our 60 percent goal." Without those changes, "we very likely will make no more progress toward that goal in the next 10 years than we have in the past seven." That goal is for 60 percent of Idahoans aged 25-34 to attain education beyond high school. Currently, 42 percent of those individuals have a postsecondary degree or credential.